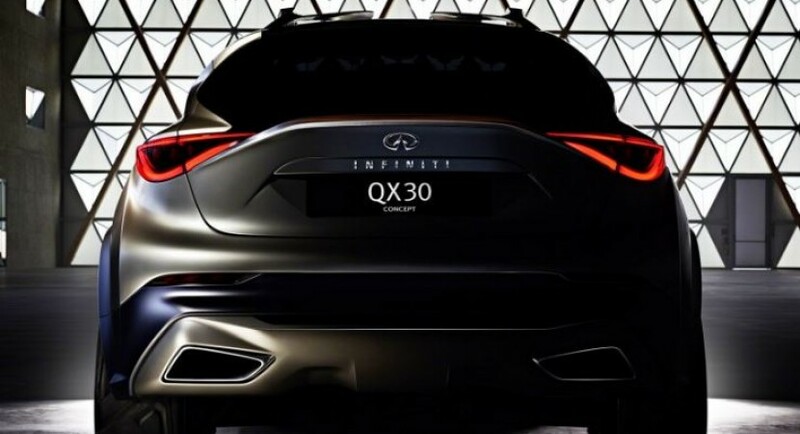 The rumors with the upcoming compact crossover concept from Infiniti are now over, as the Toyota`s luxury subsidiary has recently unveiled the official teaser image with the QX30, the model which is set to debut at the 2015 Geneva Motor Show. This way, the upcoming Infiniti QX30 will resemble the Mercedes-Benz GLA compact crossover, as both models will be sharing the same MFA platform. Sooner on, the Q30 little sibling will also emerge, standing on the same platform and be similar with the Merceeds-Benz A-Class. In terms of styling, the Infiniti QX30 will be a combination between a coupe and a crossover, sporting sleek lines, and “with a distinctive approach to design that looks beyond the practicality and conformity expected of the segment,” to quote a representative from the company. Even if the model is still in a concept phase, rumors have it that it will be built in Sunderland, England, at the Nissan`s plant and will go on the market at the end of the year. 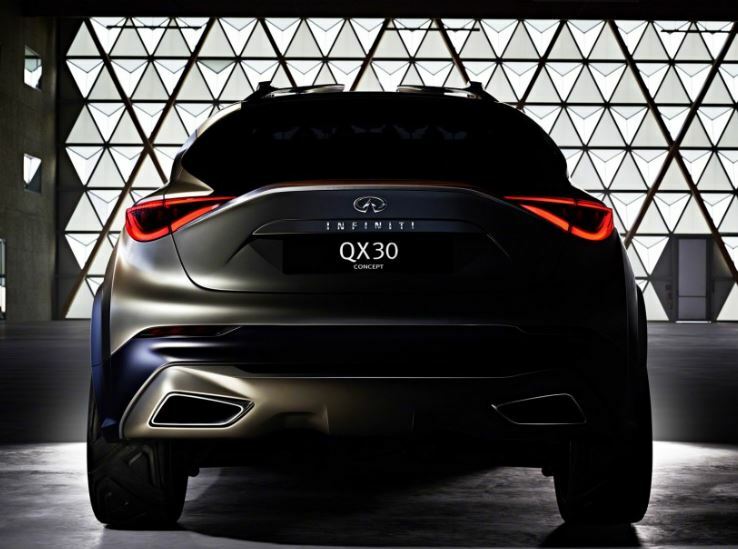 The Infiniti QX30 will take on the Mercedes-Benz, Audi, as well as BMW. Apart from the upcoming Infiniti QX30 and Q30, there are no other models to be launched this year, not even the Infiniti Q60 model, which was recently unveiled at the 2015 NAIAS, in Detroit. Further details with the performance of the two models aforementioned above, will be know in Geneva, this March.